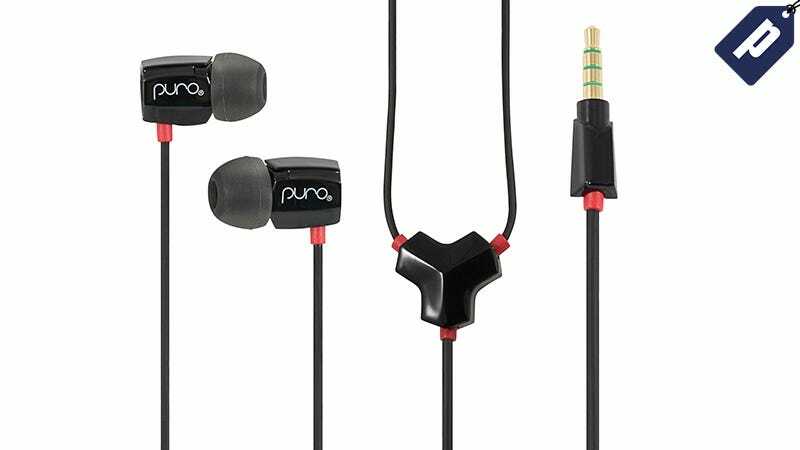 While most headphone makers only tout their powerful bass, Puro Sound Labs highlights their combination of sound clarity, ambient noise reduction, and healthy hearing. Grab the IEM-200 In-Ear Headphones and get over 15% off with code PUROSL15, just $25 + free shipping. With the headphones, which include an in-line volume control with the sound lock button, you’ll get 3 sizes of silicone ear tips for a custom fit and tight noise-blocking seal and a leather travel sock to keep them in. Take over 15% off and grab your IEM200s for just $25 plus free shipping with code PUROSL15.